The fun days of using “password” as your password are long gone. One of the many reasons employee’s emails are taken over or ‘hacked’ are weak passwords. Social media has become prevalent as a society we like to share just about anything, vacation photos, food, life moments, pets and the list continues. It’s no wonder a potential ‘hacker’ can study someone’s profile by viewing the individuals ‘likes’ and ‘favorites’ to get an idea of what type of interests the potential target may have. Yes we are guilty of using children or pet names or the famous 123qwe password, but as a savvy user, we need to evolve from basic passwords to something more complex. Using a pet or child name is fine as long as special characters and numbers are used. Length is another issue, a short password is easier to solve then say 14 character password. Best practices are to use 12-14 characters with lower, upper, and special characters in the password. The point we are trying to make is come up with something a little more creative and do not use the same password for all web properties. Phishing scams have been around since email was born. Who can forget the Nigerian prince who has millions of dollars and all he needs is your social security and bank account to transfer the funds into? Sure, this sounds unreasonable but a lot of individuals have fallen for these scams – even at work. Even though we have a junk or spam folder sometimes these types of email do get through to a user’s inbox. Email servers have become more sophisticated through the years and are able to detect phishing scams from a mile away. 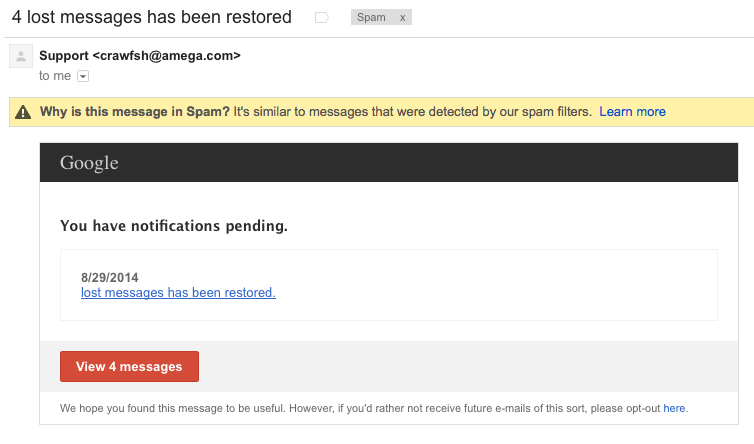 Some individuals know how to cheat the system and get past these spam filters and through a user’s inbox. Beware of these types of emails asking for sensitive business data. Remember, vendors and colleagues emails’ can become compromised and send an email that seems legitimate. The lesson we want you to remember is always read thoroughly suspicious email before performing any action. Perfect example of a phishing scam email. Links in emails have become a norm. Lots of individuals and organizations add links to the email body, signature, and even have images linked to the company website. Receiving a link in an email is safe from a known and trusted source, but from an unknown individual can be virtually lethal. A lot bad links in emails from strangers are linked to websites that can perform an array of actions to the machine. For one, the machine can become infected with a virus or malware which will put the machine out of commission for some time. Depending on the type of provider the company is using, it can take anywhere from hours, days, and possibly weeks. In the worst scenario, the machine becomes unrecoverable and all the data on the machine is gone. This isn’t out of the realm of possibility as lots of company’s have experienced scenarios like this one. The moral of the story, do not click on links from strangers as these can perform detrimental damage to the machine and possibly the company.